A 10-km tailback was created on Dhaka-Chattogram highway in Daudkandi upazila on Friday, causing immense sufferings to passengers, report UNB. 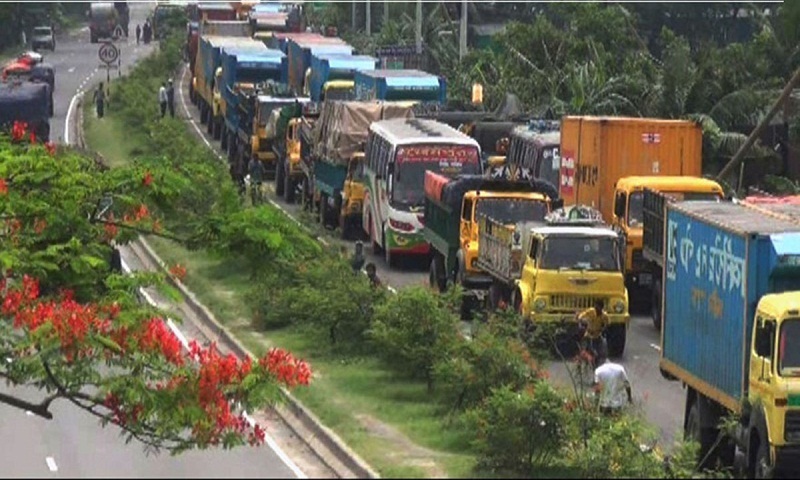 The tailback was created stretching from Meghna-Gumti Bridge in Daudkandi point to Munshiganj point from Thursday night as two trucks went out of order over Meghna Bridge, said Abul Kalam Azad, officer-in-charge of Daudkandi highway police camp. Meanwhile, the OC said, police removed the two trucks from the bridge and the traffic started returning to normalcy slowly.